Porsche does a very good job of hiding the camouflage on the body. 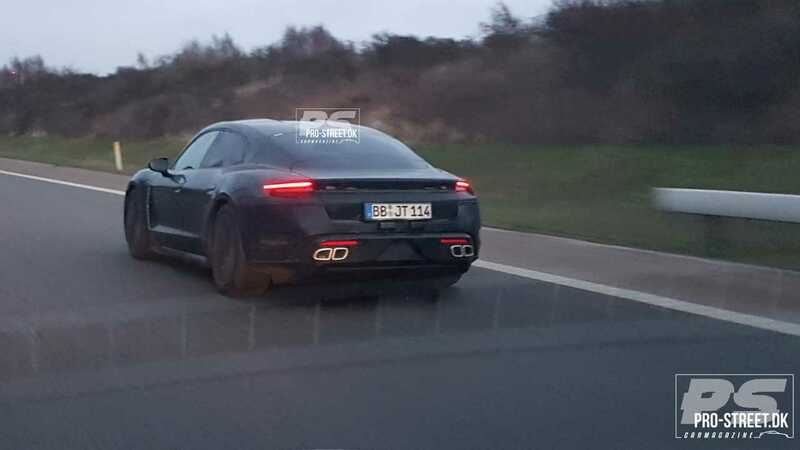 Some new spy shots from Danish site Pro-Street catch the Porsche Taycan testing on the roads around Copenhagen. While the electric sedan doesn't appear to be camouflaged at first glance, Porsche still keeps some sections of this test mule under wraps. Porsche likes to use black test mules and then cover them with matching pieces of concealment. Unlike the swirling camouflage that other automakers use, this method makes the job of spotting what's hidden much difficult. On this Taycan, the engineers also employ fake coverings over the headlights, but with the lamps on, these images reveal their true shape. At the back, the fake exhaust pipes might fool most drivers into thinking this is a combustion-powered Porsche. The production Taycan will make its big debut in September, and customers in some markets will be able to buy the electric sedan before the end of the year. 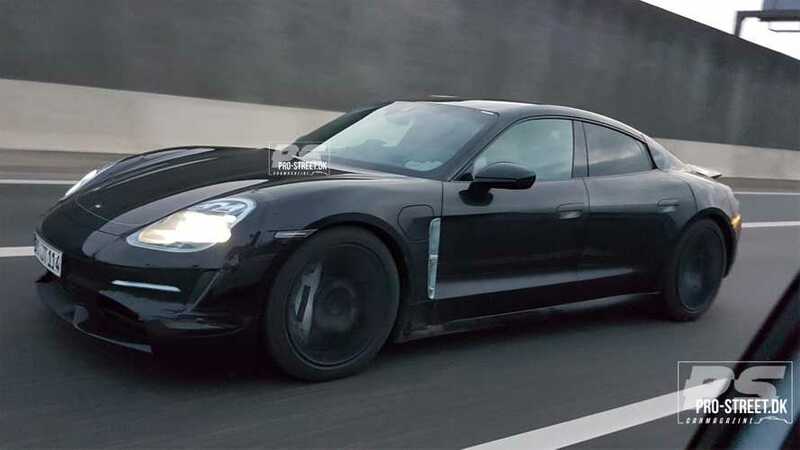 According to Porsche's preliminary specs, the Taycan will have an electric motor powering each axle, and they'll offer over 600 horsepower (447 kilowatts). The battery pack should offer over 310 miles (500 kilometers) of driving range. Porsche also touts having over 20,000 pre-orders for the Taycan, which is a figure equal to the automaker's production capacity for the sedan in a year. To cope, the company is already boosting assembly plans. In 2020, the Taycan lineup will grow with the introduction of the Sport Turismo wagon. It'll be mechanically identical to the sedan but will offer the advantage of carrying more cargo. In 2021, an electric Macan will join the range, and the crossover will ride on a different platform than the combustion-powered model.